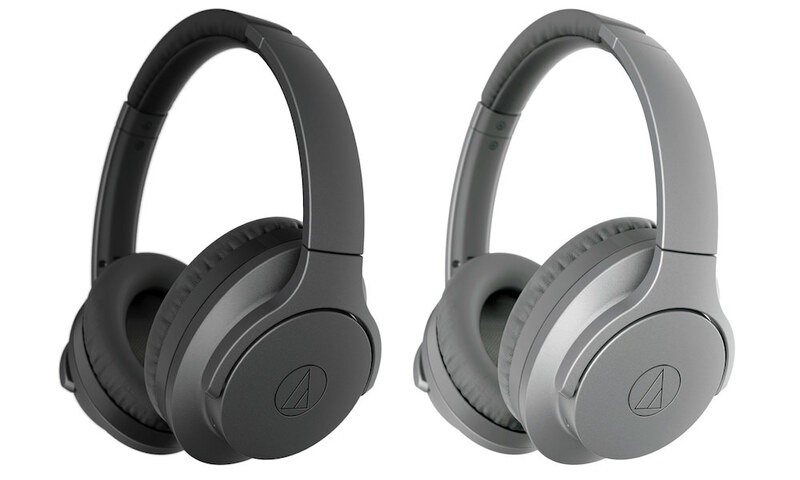 For 2016, Audio-Technica announced an active noise-cancelling version of one of our favorite headphones from last year, the ATH-MSR7, for $50 extra. 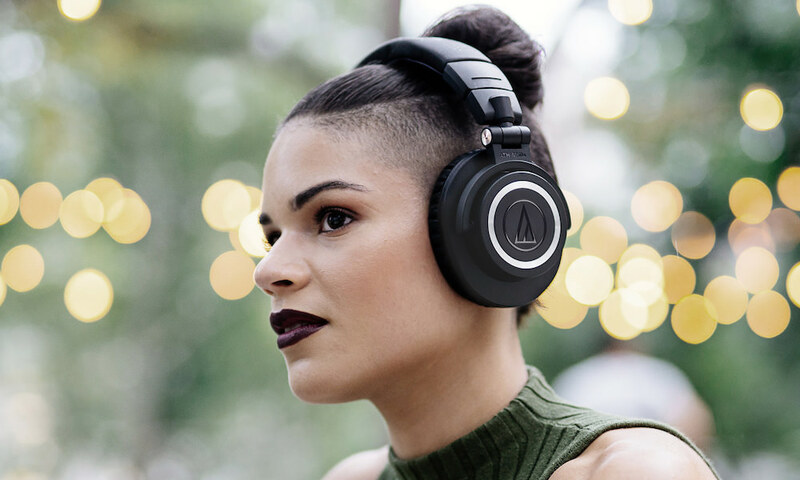 The new $300 ATH-MSR7NC hi-res audio, over-the-ear headphones are one of the few high resolution audio certified headphones with active noise-cancelling technology. 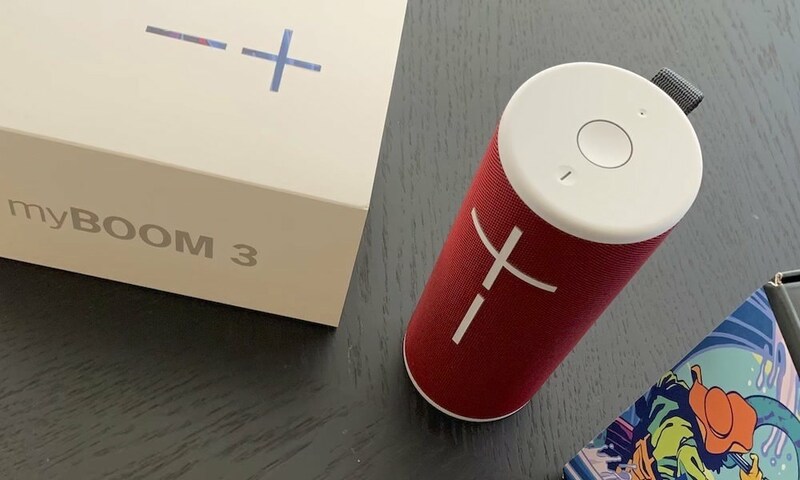 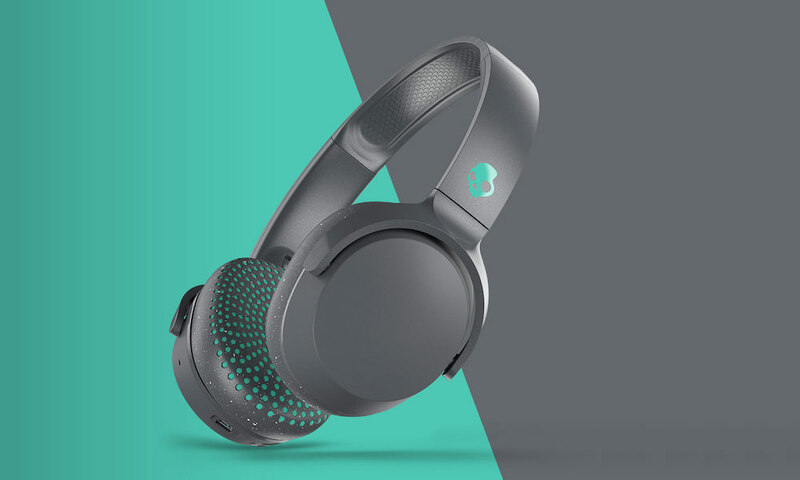 The company says that by carefully positioning the mic and the acoustic vent 90º to each other that noise-cancelling won’t degrade sound quality and the headphones can be used in either mode, even if the battery is drained. 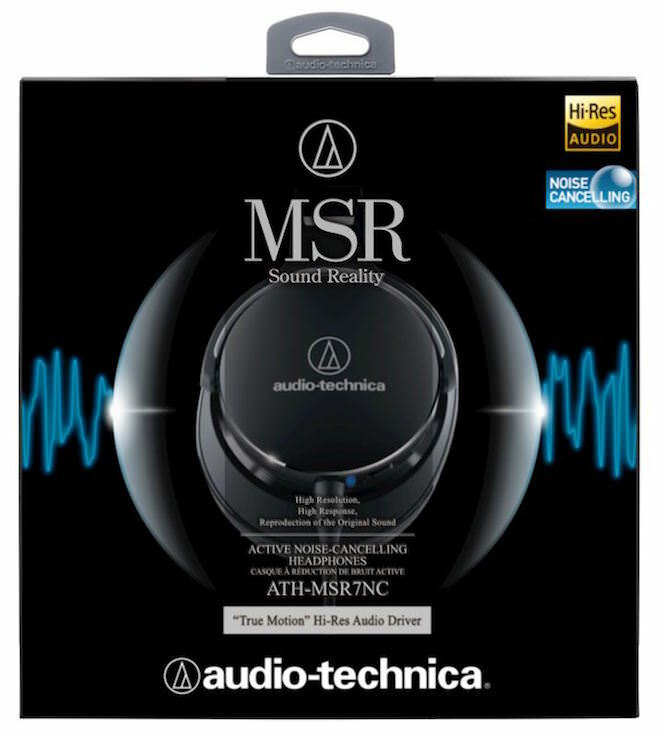 The ATH-MSR7NC’s miniature microphones at the top of each earcup feed signals into the headphones’ sophisticated noise-cancellation circuitry, which creates a signal 180-degrees out of phase to effectively cancel ambient noise. 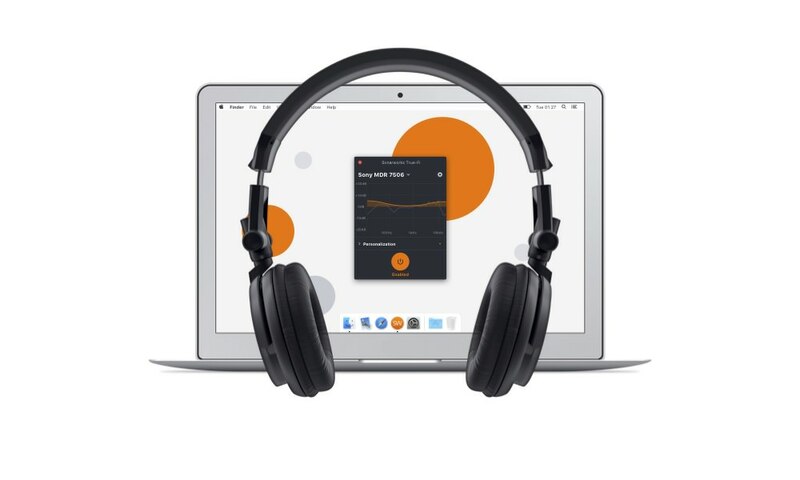 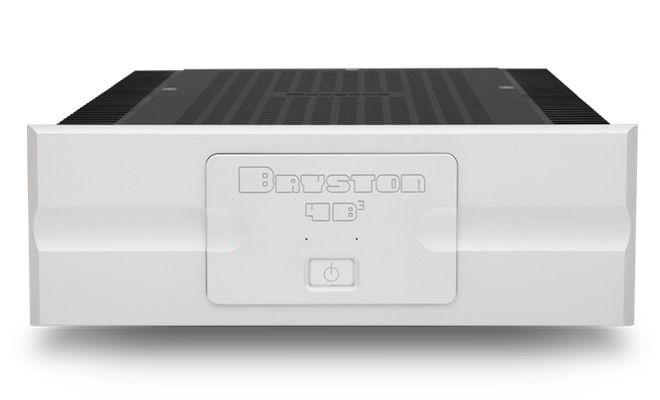 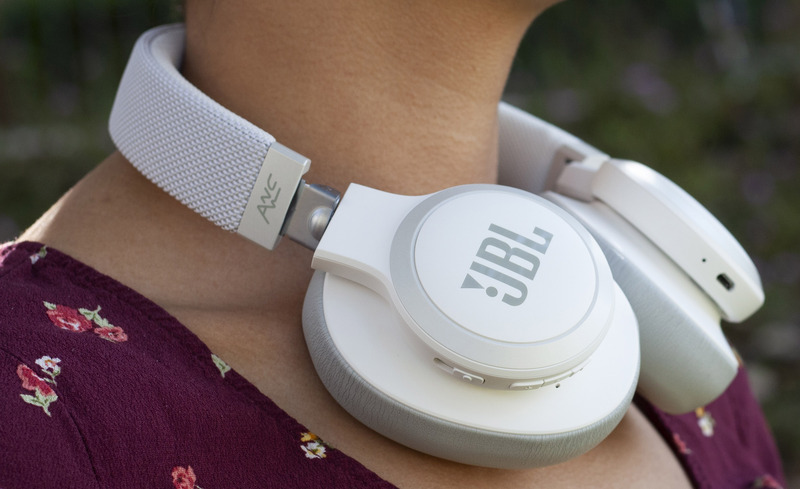 Proprietary (patent-pending) noise-cancelling and venting technologies work together to maintain Hi-Res Audio reproduction in both passive and active-noise-cancelling modes. 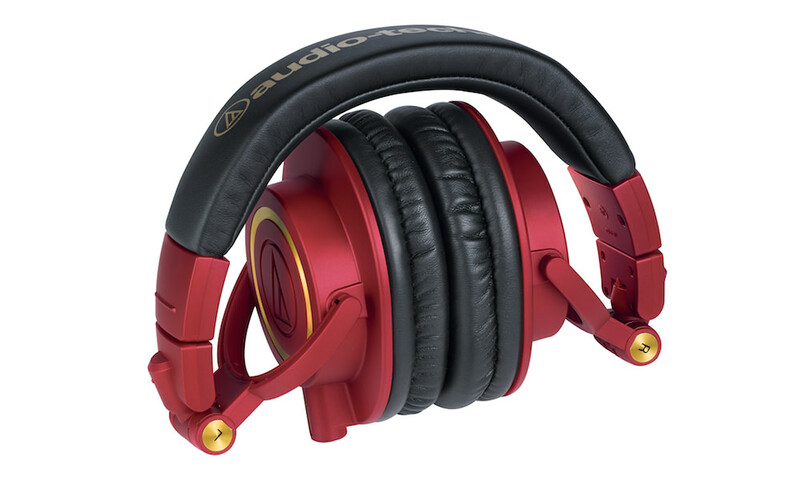 Locating the mics on the top, instead of the side of the earcup ensures consistent noise-cancellation performance unaffected by the listener’s head movement or wind noise. 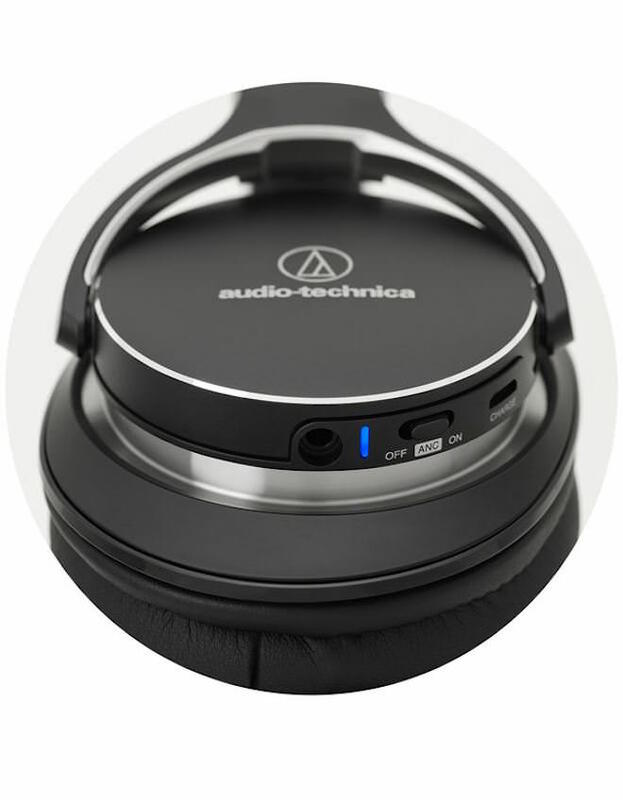 An internal rechargeable battery powers the ATH-MSR7NC’s noise-cancelling function for up to 30 hours. 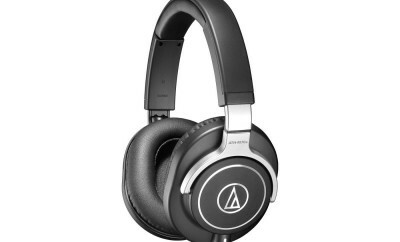 The ATH-MSR7NC have been specially designed to maximize comfort during long listening sessions. 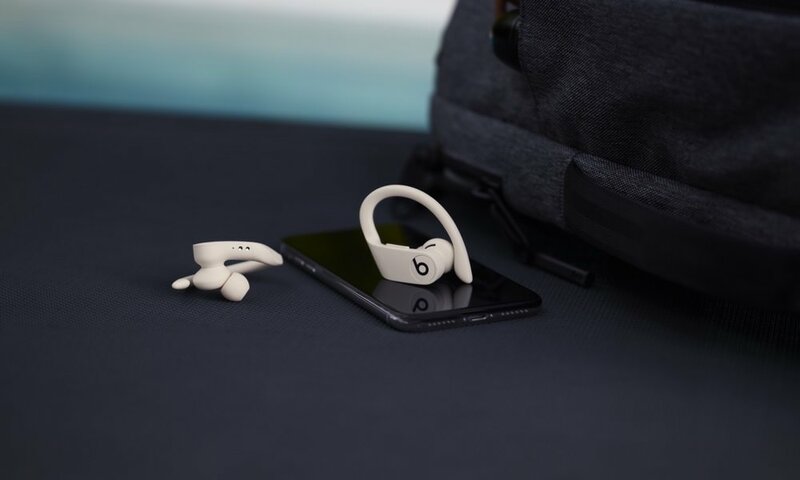 Soft memory-foam ear pads fit securely and snugly around the ears with the housing shaped to mimic the profile of a whole ear for an enhanced fit and to optimize the deeper bass sounds. 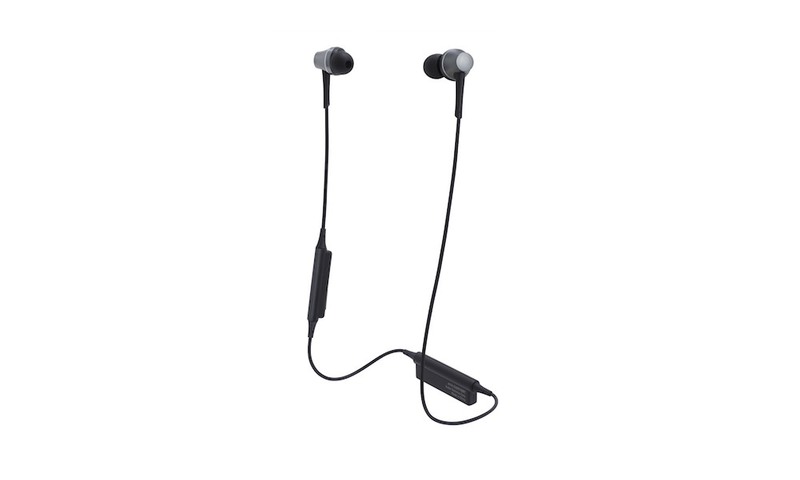 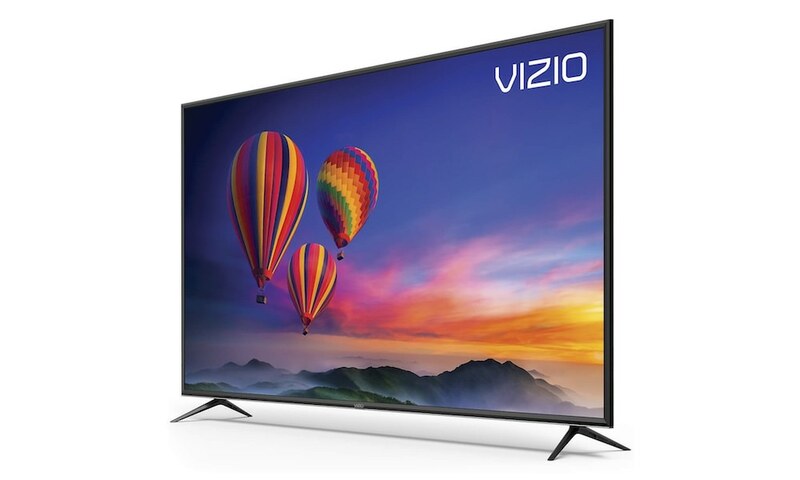 Its swivel design provides flexibility to instantly find an accommodating fit. 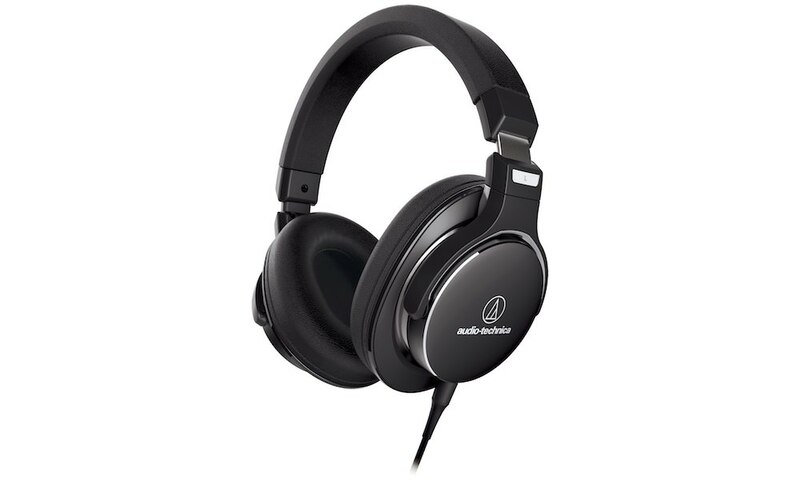 At the heart of these headphones are the 45mm “True Motion” hi-res audio drivers that combines a precision diaphragm and extra light-weight voice-coil to improve response times and reduce sound distortion for a fluid, detailed and accurate sound. 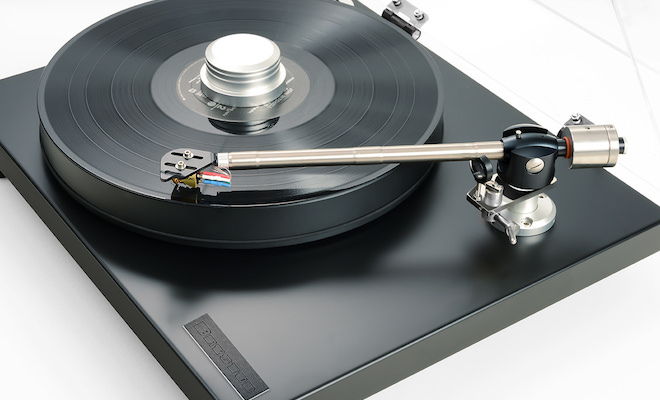 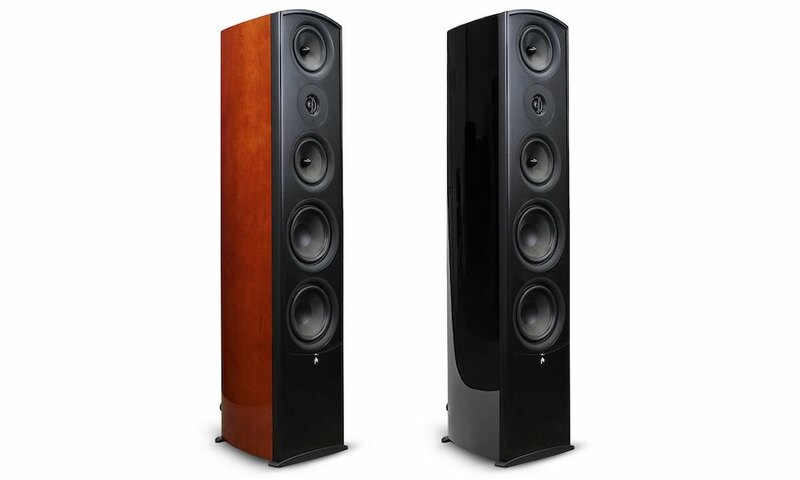 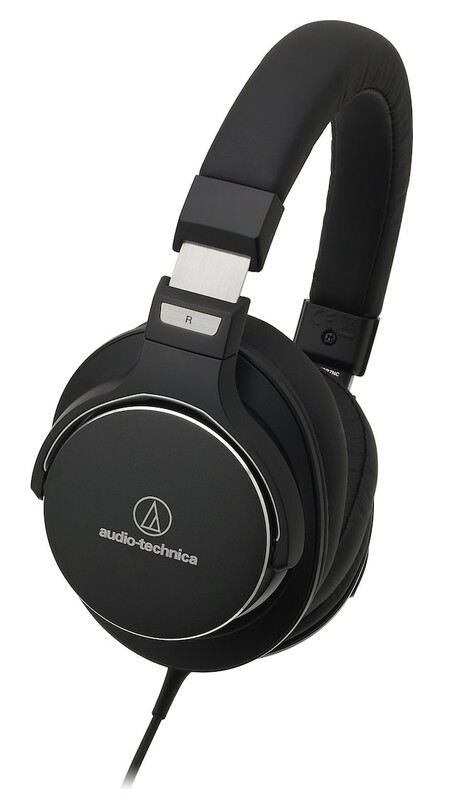 Dual-layer Air-Control Technology has been specially developed to ensure the ATH-MSR7NC delivers a dynamic sound. 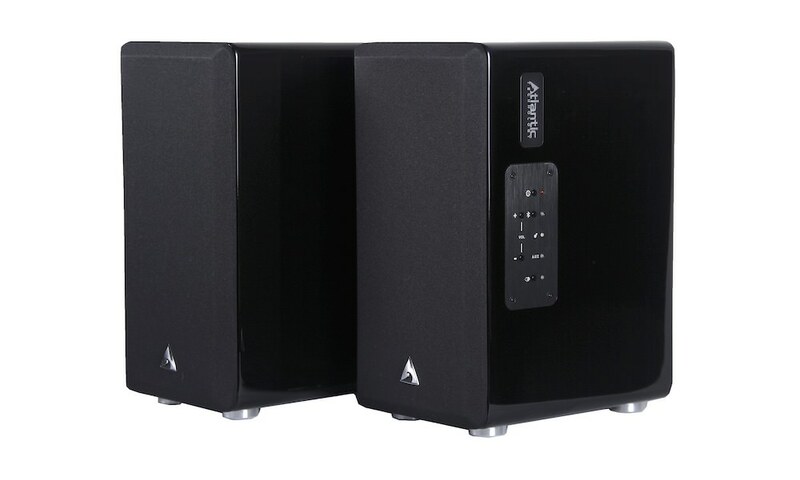 Using of mixture of layered aluminium and magnesium materials, the housing’s lightweight but rigid structure reduces unwanted vibration that can tarnish sound quality. 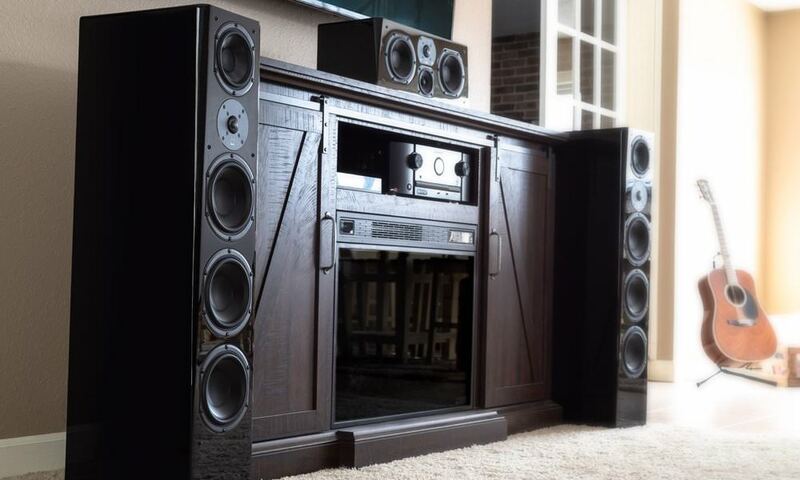 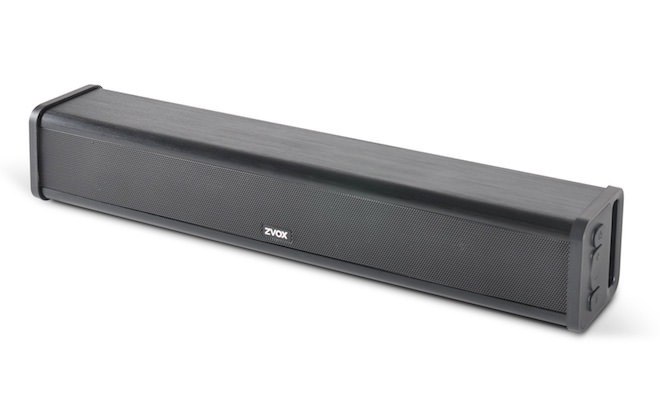 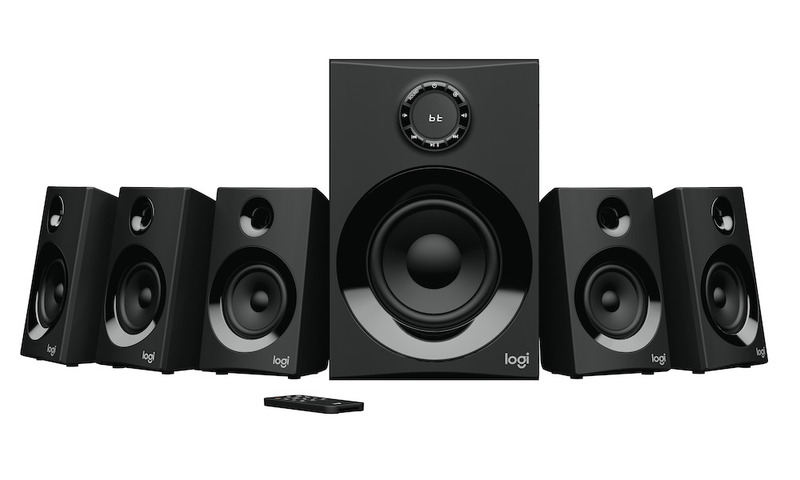 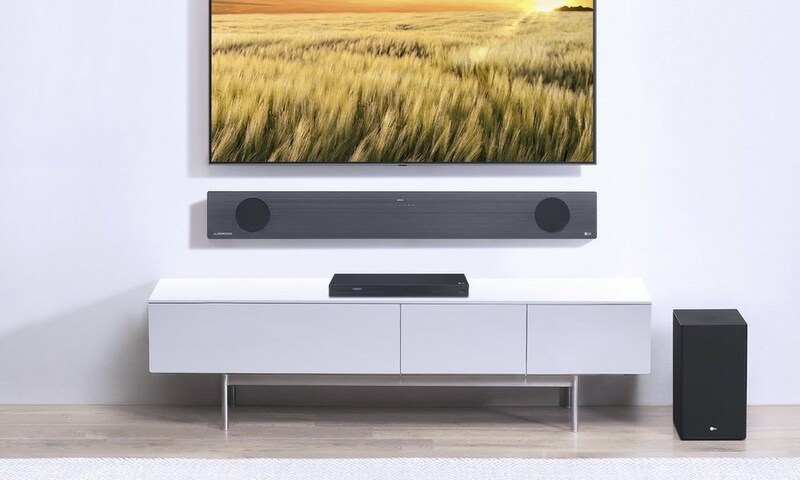 Within this layered construction, a Triple-venting Acoustic Airflow design features three precisely placed ‘vents’ that control the air flow to give a much more engaging and richer sound. 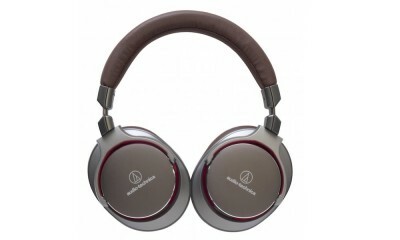 For the frequent traveler the ATH-MSR7NC arrives with handy accessories: a USB charging cable, a carrying pouch to the keep the headphones protected during transit and an airline adapter so users can enjoy to in-flight entertainment. 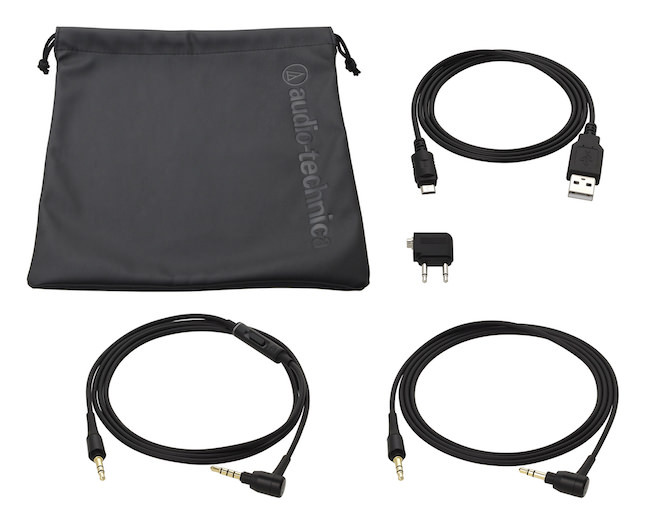 Also supplied are two 1.2 metre detachable cables – one of which features an in-line remote control and mic for those listening via a smartphone. 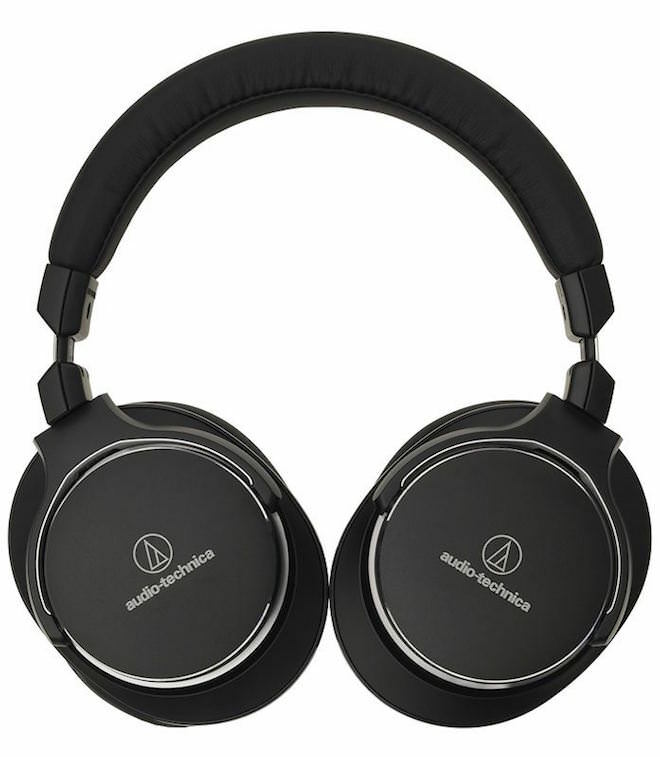 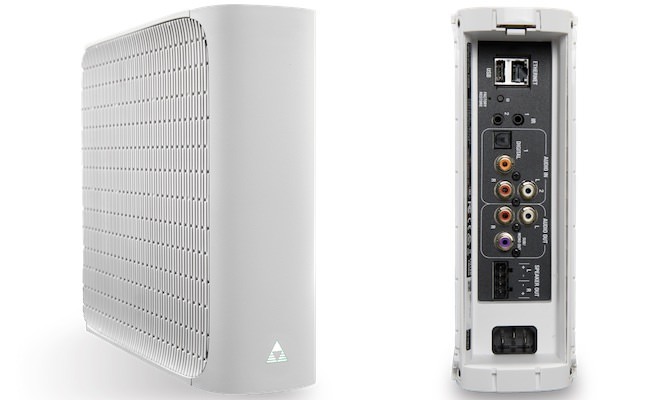 The Audio-Technica ATH-MSR7NC will be available in February/March 2016, priced £249 (inc. VAT) in the UK, with a April 2016 U.S. launch, priced at $299.99.